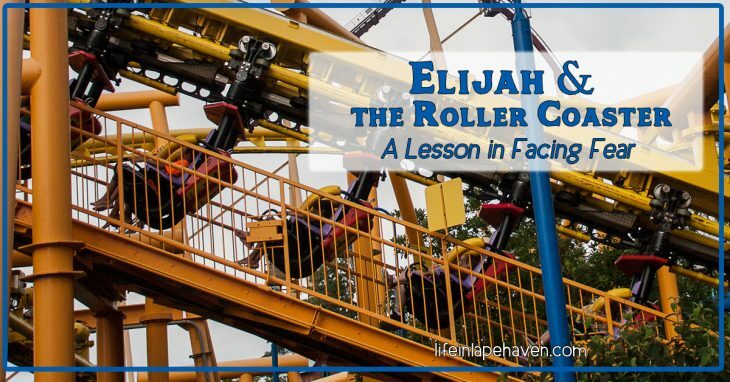 A few springs ago, Elijah began a mission to save money toward a family trip to Kings Island, one of the amusement parks here in Ohio. 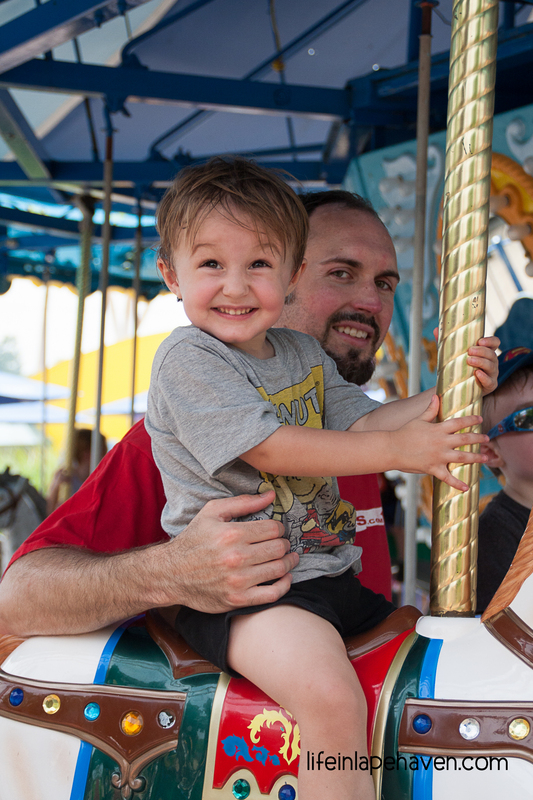 Two summers in a row, when Elijah was 2 and 3, we had received free tickets from hubby’s work, and it became Elijah’s favorite place in the world (we’ve never been to Disney). 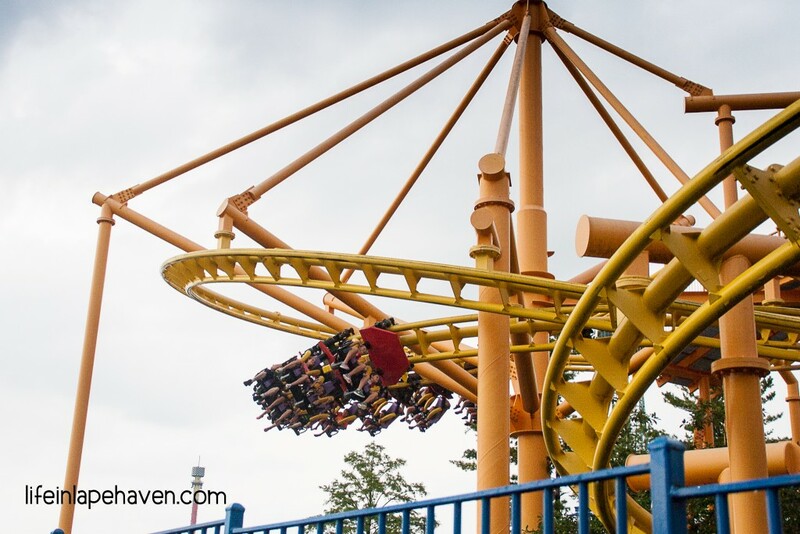 However, starting that year, the company outings changed to a different venue, so a trip to any amusement park suddenly became a more expensive venture for us. Elijah was determined to go that year, though, so we struck a deal with him. In an effort to begin teaching him about making good financial choices and the importance of earning something you want, we promised him that if he could save enough for his ticket, we would go. 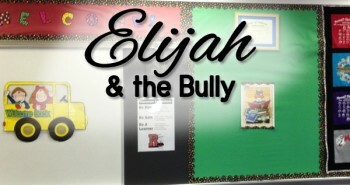 Through learning memory verses every week, doing various special chores, choosing to save his change instead of spend it, and designating the majority of his birthday money to savings, Elijah was able to put aside more than enough very quickly. So our family planned a trip in late July, and Elijah counted down the days. Part of our planning including visiting the Kings Island website to see what rides in Planet Snoopy, the Peanuts-themed kids’ area, that Elijah would be tall enough for then. 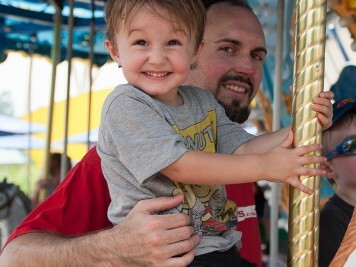 I’m not sure who was more excited, him or us, when Brad and I realized that Elijah was able to ride everything in the kids’ area, including my favorite ride in the entire park. Several years ago, I had ridden the family inverted steel roller coaster (now based on Snoopy and the Red Baron) with my nephews, so I knew it was a fun, smooth coaster. He was also tall enough to bump along on my very first coaster, a wooden contraption once named the Beastie. In keeping with the Peanuts branding, it is now called the Woodstock Express, but it is still as jostling as it ever was. 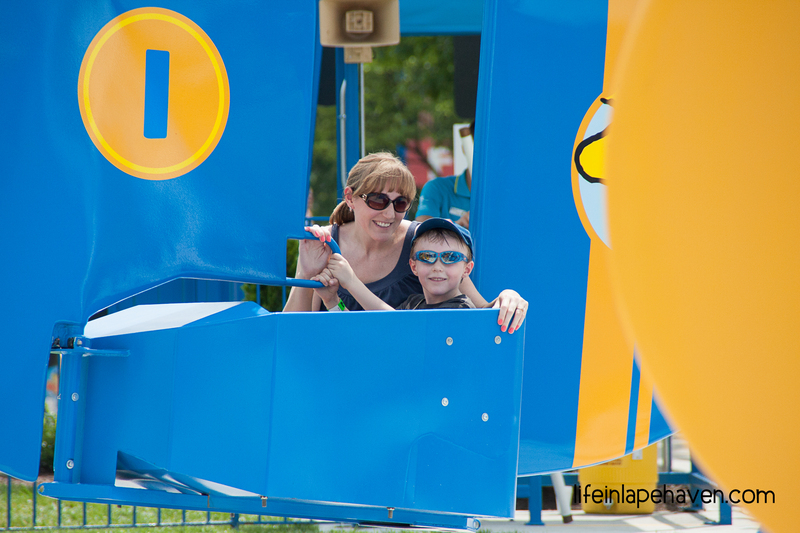 When the big day arrived, Elijah was both excited and nervous about his first real coaster ride. He decided to start his day slowly, enjoying familiar, tamer rides to build up his courage. In previous years, he hadn’t been a big fan of even the mildest kiddie coaster, but being two years older, he tackled that one easily. He was ready to face a “real” coaster when it began raining. 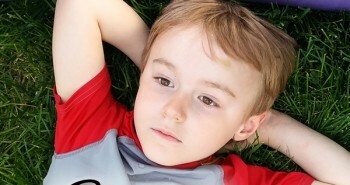 The downtime gave him a chance to vacillate and worry again while we enjoyed some yummy blue ice cream. 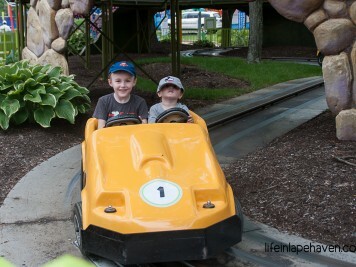 Had it been Josiah, he would have been in the front car of the biggest possible coaster as soon as he could. Elijah, however, has a bit of his mommy’s cautiousness to him, so I knew he would need a little coaxing to face something new and unknown. 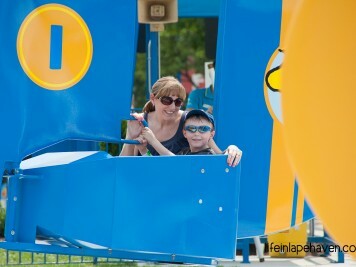 (I am very familiar with the feeling) We wouldn’t make Elijah ride the coaster, but we did encourage him to try it, even if he were a little nervous. Had he said he really didn’t want to, we would have gone on to something else. 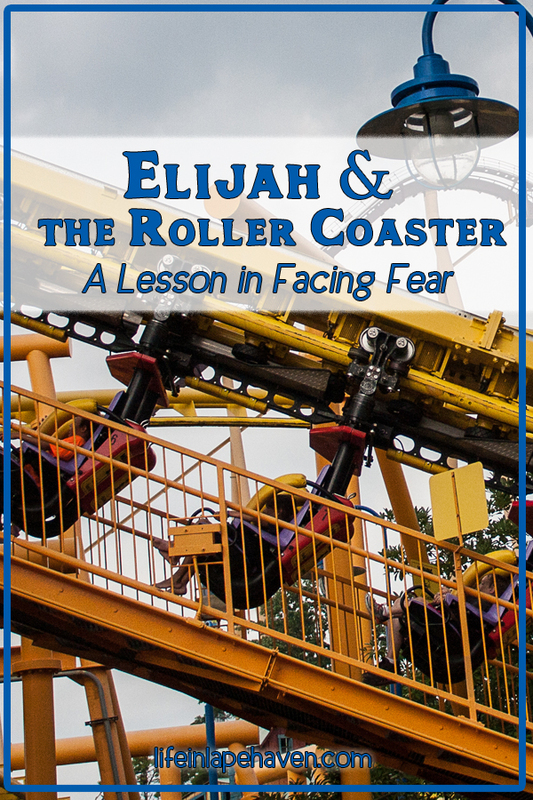 After things dried out, he said he was ready, and Elijah and I found ourselves in line for the steel coaster, his little face betraying his anxiousness even though he was smiling. He watched the other riders ahead of us, which I’m not sure helped, but the older girls talking about how fun the ride was did seem to give him the extra incentive to get strapped into the chair when our turn came. I was proud of him. He was going to do it, even though he was a bit afraid. Then he gripped my hand. And I knew. He was scared, but he was trusting me. He knew I was right there with him. I had done this before, and now we were going to do this together. He was okay for the initial “chugga-chugga-chugga” up the hill, but when the cars topped the incline and started to circle down the first hill, his handhold with me became a death-grip. When he squeaked out, “Mommy!” I could tell he was NOT loving this quite as much as we’d hoped he would. I squeezed his hand and told him that it was okay. 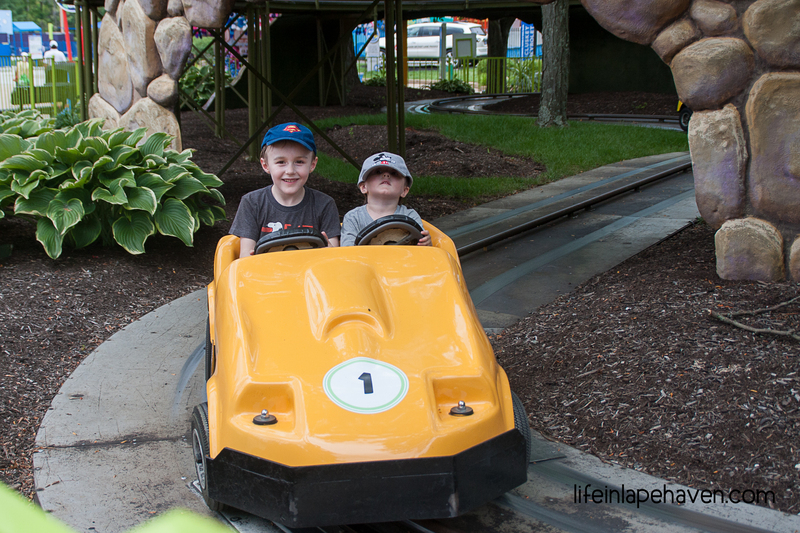 I continued to reassure him through the remaining 60 seconds or so of the ride, and toward the end, he relaxed a tiny bit. However, he never let go of my hand. My poor conflicted little guy. We’ve been working on “doing hard things” this past year, and this was definitely one of them. Facing a fear is NEVER something we want to do. We don’t like it. It is, after all, scary. Most of the time, when we step outside of what we know, out of our comfort zone, we’re not overly thrilled to be doing so. It’s called a “comfort zone” for a reason – everything beyond those borders is uncomfortable. However, it’s in the uncomfortable places where we grow, where we learn to be brave, where we learn to trust. And usually the reward for facing our fear is worth it. It might even be fun. On the Woodstock Express – that face! And we don’t have to face our hard things alone. As I was describing how Elijah held my hand on the ride, I couldn’t help but see God in my spot and me in Elijah’s. 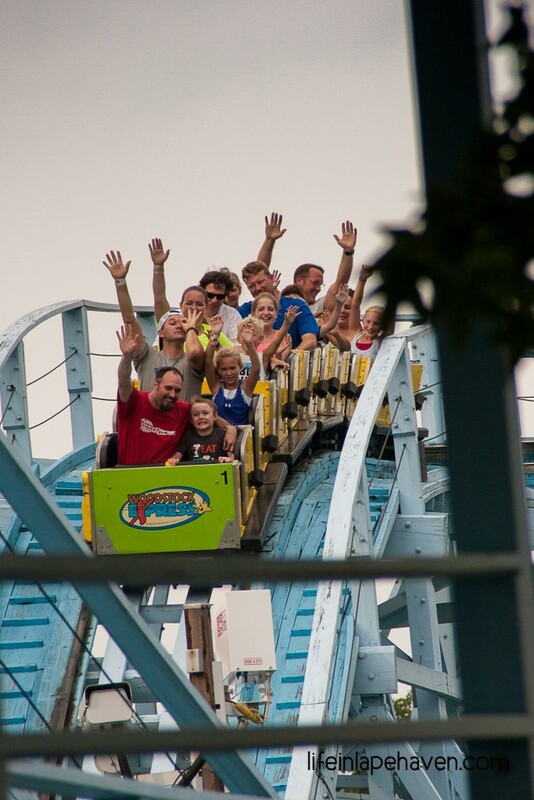 We all know that life can be a roller coaster, and who better for me to be holding onto than God? There will be parts that scare me, that jostle me, that make me disoriented even. But I know Who is right there with me. I know that He knows where the ride is going, when it dips and when it rises. I can hear Him reassuring me the whole time. 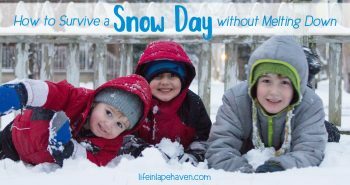 Even in those seasons when it’s fun and exciting, I still hold tight to His hand because I need Him then, too, to share in the joy and to prepare me for whatever’s coming next. I asked Elijah tonight what he would say about that ride now. And I’ll be right there with him, holding his hand.